While "Brian Scotto" may not be a household name in the automotive world, as few names are, there's little-to-no chance that you're entirely unfamiliar with his work. As the Creative Director behind BJ Baldwin's "Recoil" videos, and better yet, Ken Block's "Gymkhana" series, there's no doubt that nearly everyone has had the chance to see where his talents lie. 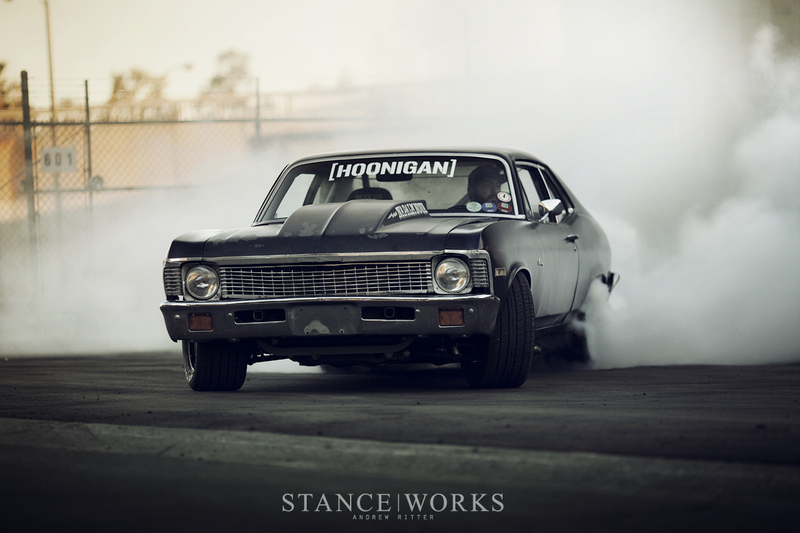 Moreover, operating as the Brand Director behind the colossus that is [HOONIGAN], its likely you've seen Brian's work outside of YouTube too. But as both a car enthusiast and a burnout connoisseur, his talents are far from limited; instead, they carry over and into the garage. 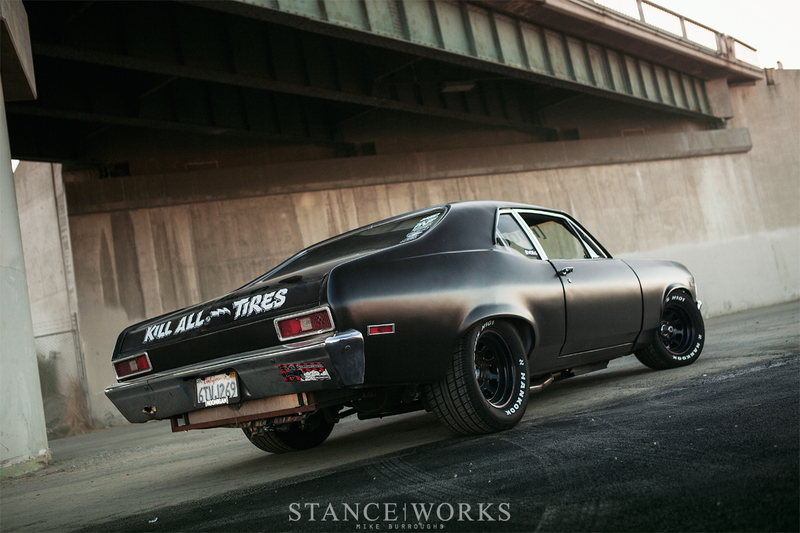 His latest build, a 1972 big-block Chevy dubbed the "Napalm Nova," was built with one intention: to annihilate tires. In the few short months since completion, he's put it through arduous punishment, as tire smoke seems to expel from his lungs with every breath. 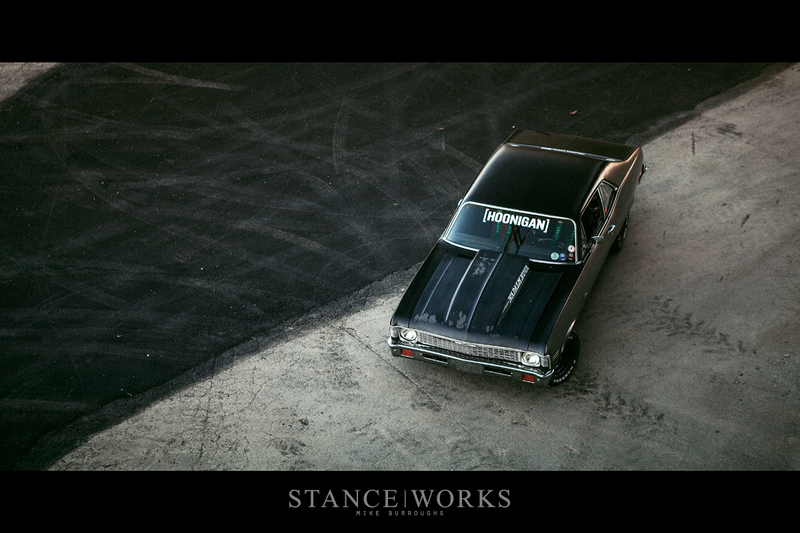 The story of Brian's Nova rolls back several years; after bouts with a variety of German cars, he wanted to move on to something with a bit less "precision" and a bit more "ferocity," and classic American Muscle fit the bill. However, he also craved a car that left behind the pro-touring cliches in favor of something a bit more barbaric. Brian knew he wanted a car that had been ridden hard and put up wet. 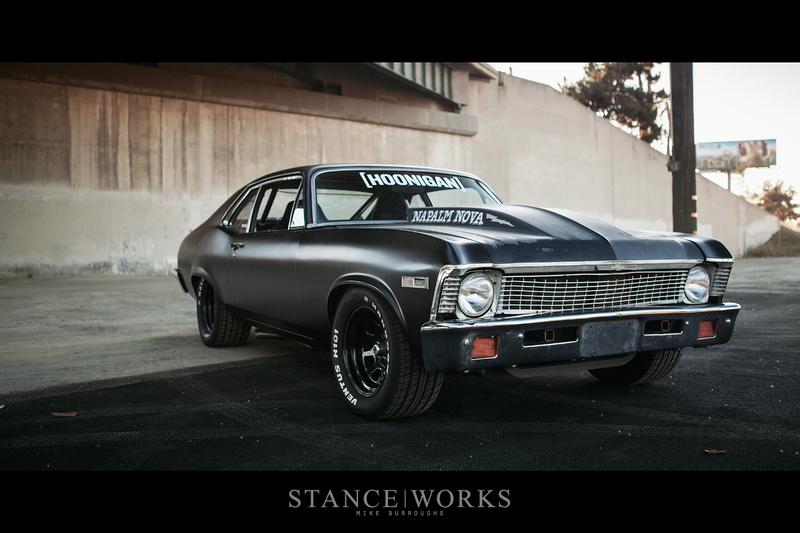 After sifting through his options, it was the Nova that offered both beauty and brawn to his concept, and with that, Brian sourced this very '72 Chevy Nova from Arizona. 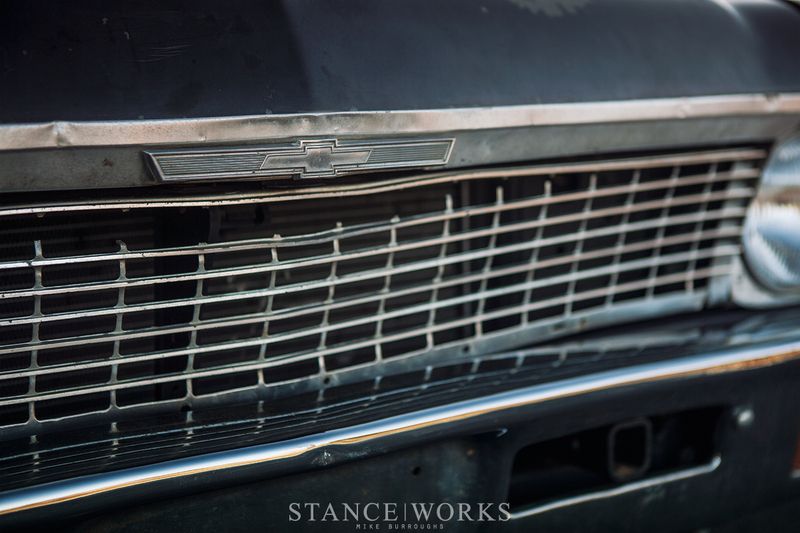 While it was in dire need of restoration, its guts were strong and begged for more. It was more than a year ago that the Napalm Nova project finally began to take shape. After driving the car with regularity that came and went, the gears began to turn in Brian's head. He had long since known what he wanted out of the car, but with a desire to move forward, it was important that he establish his goals. For an end result, aside from the Nova's obvious rubber-decimating demeanor, Brian envisioned a car that commanded a strong Trans-Am presence, from its stance and stature to its inner workings. With that precedence, Brian began by turning to the best in the industry for the car's bones: Art Morrison Enterprises. It was important for Brian that the car be set up to handle anything thrown its way. 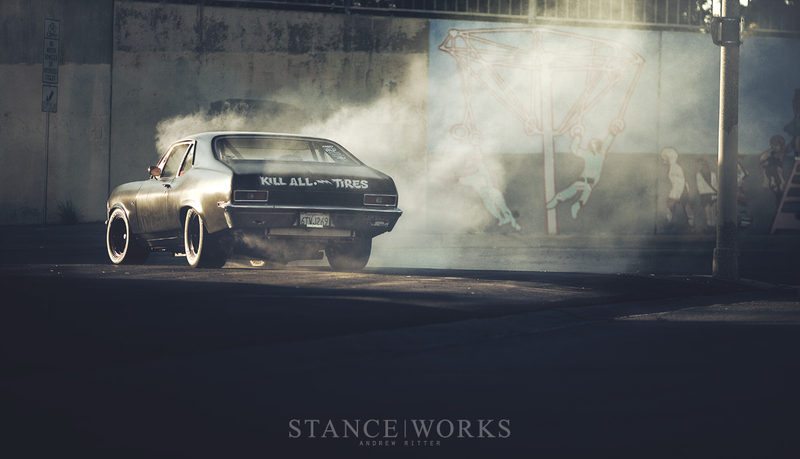 Under the nose of the car is AME's GT Sport front subframe assembly, which treats the Nova to radically improved front suspension geometry. 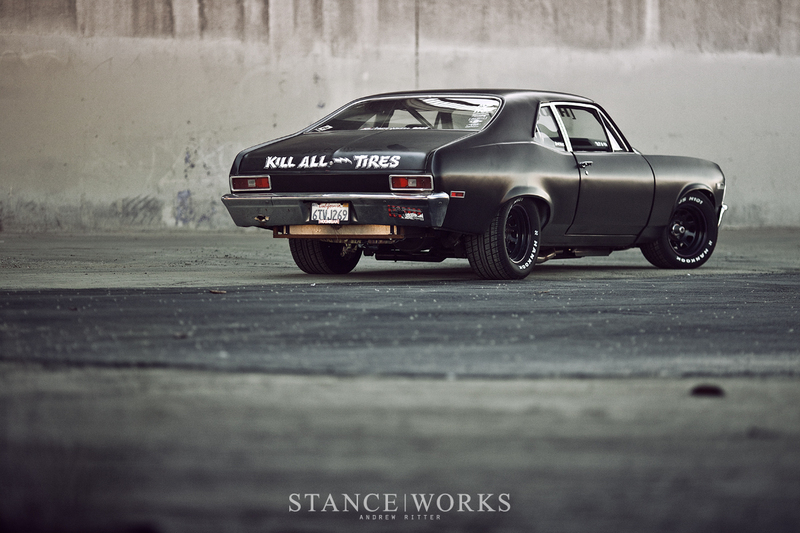 Double a-arms paired with coil-overs, a swaybar, and a quick-ratio steering rack update the car to modern standards. Mounted to the spindles is a set of Wilwood disc brakes, ordered in custom sizing to fit behind the car's 15" steel wheels. Hub to hub, the front end allows the car to handle switchbacks without so much as a second thought. Under the tail of the car, AME's rear clip offers a 3-link solution, which AME suggests is built to cater to the hard-core track enthusiast as the ultimate answer for a solid rear axle. Coil-overs offer height and ride control, while the 3-link geometry, paired with a Watts Link, helps locate the axle and allows it to travel with minimal bind and maximum articulation for contact. 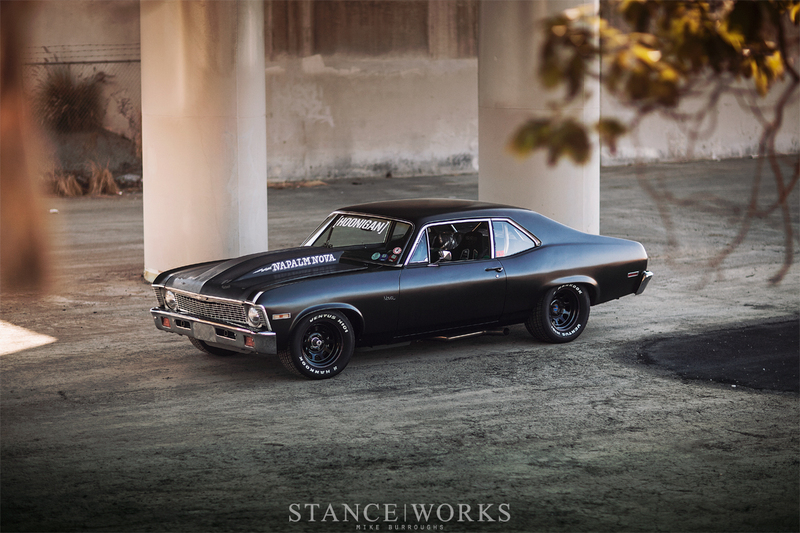 However, no muscle car is complete without the ability to stand up on end at the drag strip, and as an answer, Brian's chassis was custom-built with mounts to quick-swap to a 4-link system within just minutes on the rack. With the 4-link setup catered to tire roasting and trap times, there's no telling what the Napalm Nova may do once Brian stuffs more power under the hood. That's not to suggest that the Napalm Nova lacks firepower.... In fact, to churn over the wide rear rubber is a motor to match. 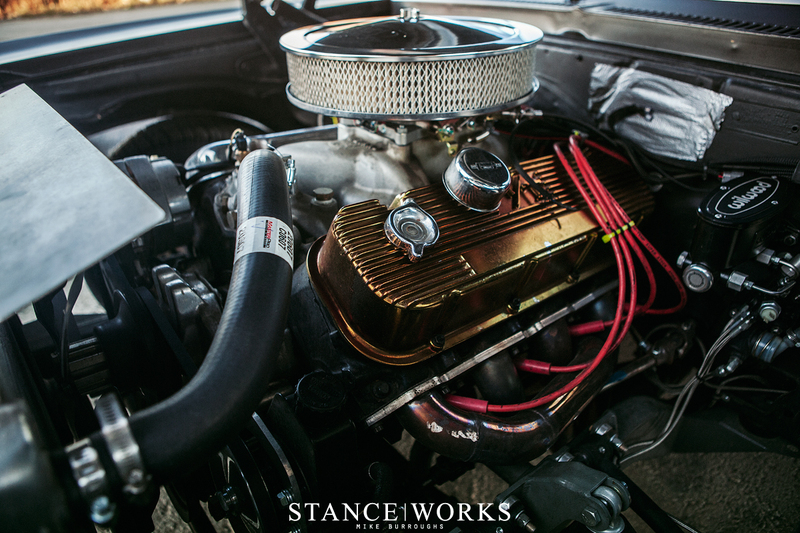 Stuffed under the hood of the Nova is Chevy's big block: a 454. 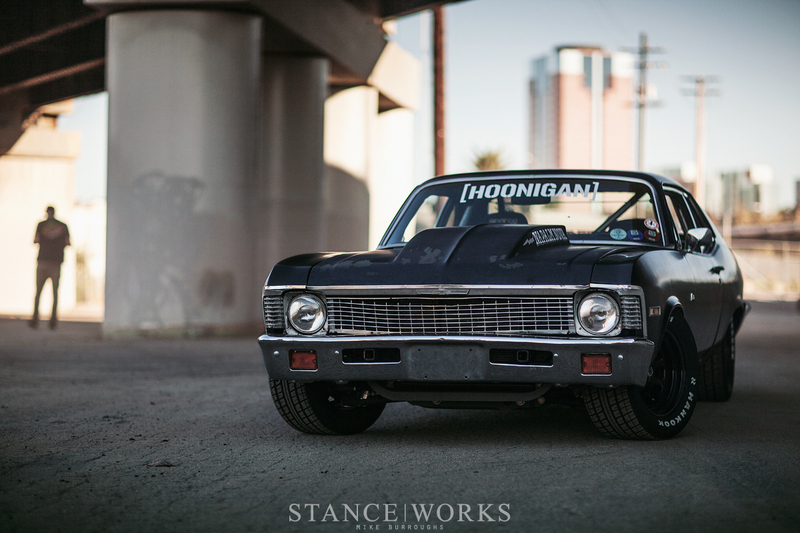 With about 450 horsepower on tap, the Nova's hustle is alive and well. Brian claims the engine hasn't been prodded too much, but the lopey cam idle refuses anyone the opportunity to ignore the beast. MSD provided the ignition and fuel injection for the heart of the build, and the turn-key system offers a breath of reliability into the 43 year old machine. High flow headers route to a one-off Magnaflow exhaust, which dumps just ahead of the rear tires when the cutouts are open. The final components of the driveline take shape in the way of a six-speed T-56 transmission, which routes power out and down to a Currie Enterprises Ford 9" rear end. 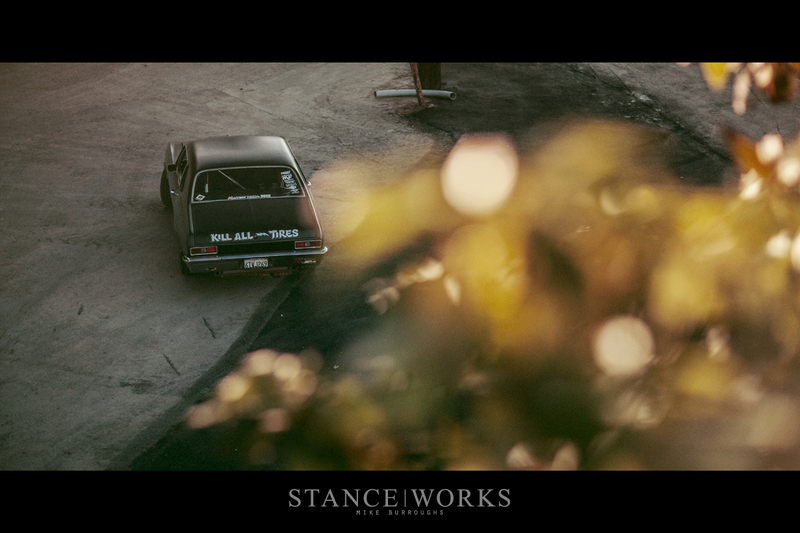 Bolted to each end of the stick axle is an American Racing 15x8 steelie wrapped in a Hankook 295/50/15. 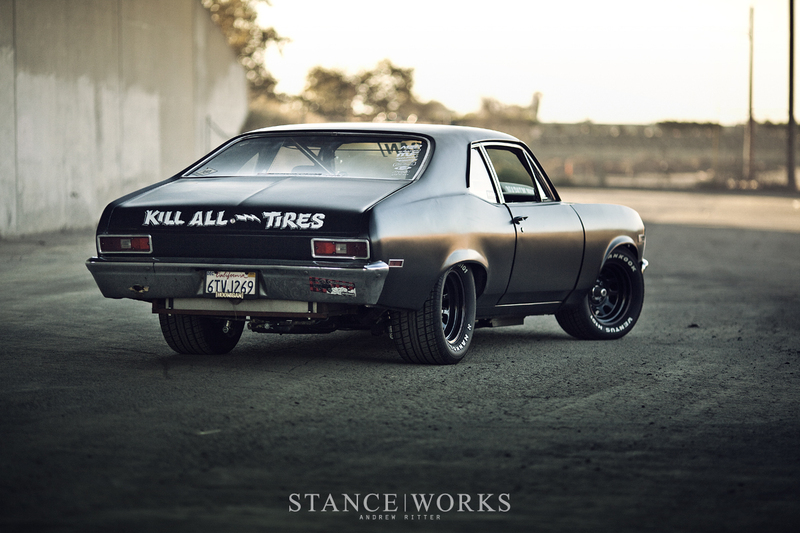 Where most high-profile muscle car builds find themselves sitting atop large diameter multi-piece wheels, Brian opted for something a bit more classic. 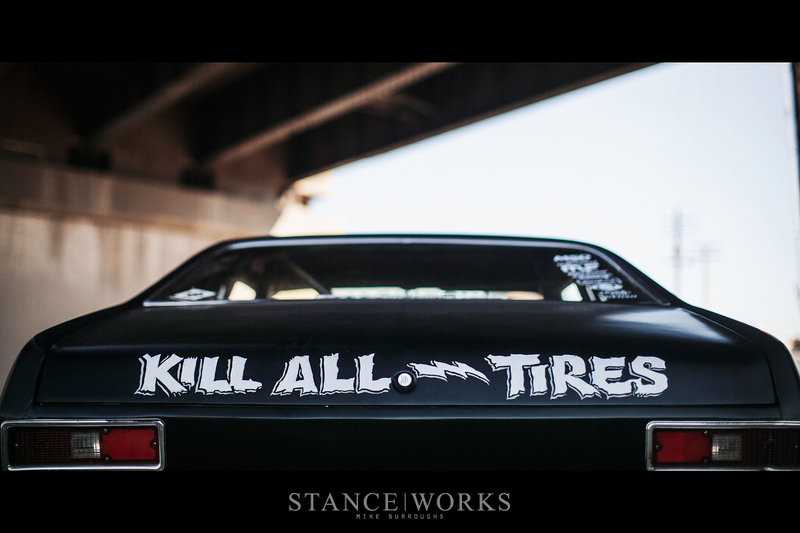 The steelies' sizing and aesthetic both help to nail down the vibe borrowed from successful pony cars in the Trans Am series, as well as a bit of classic circle-track flair. 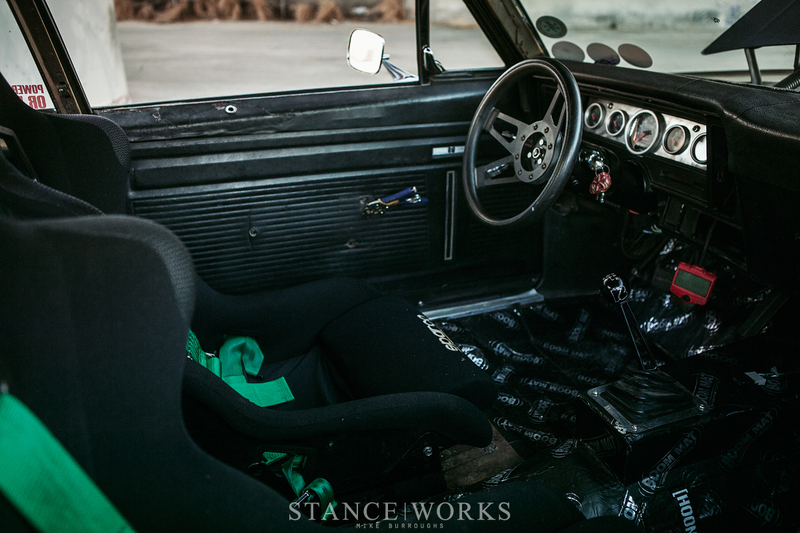 The interior of the Napalm Nova is as rough-and-tumble as exterior. Where one might expect to find carpet is, instead, a profuse use of sound deadening. Creature comforts were tossed to the wayside, as a pair of Sparco fixed-back seats prevent use of any space behind them. A roll cage has been welded directly to the subframes, offering a hint of safety to the otherwise archaic standards of the car. 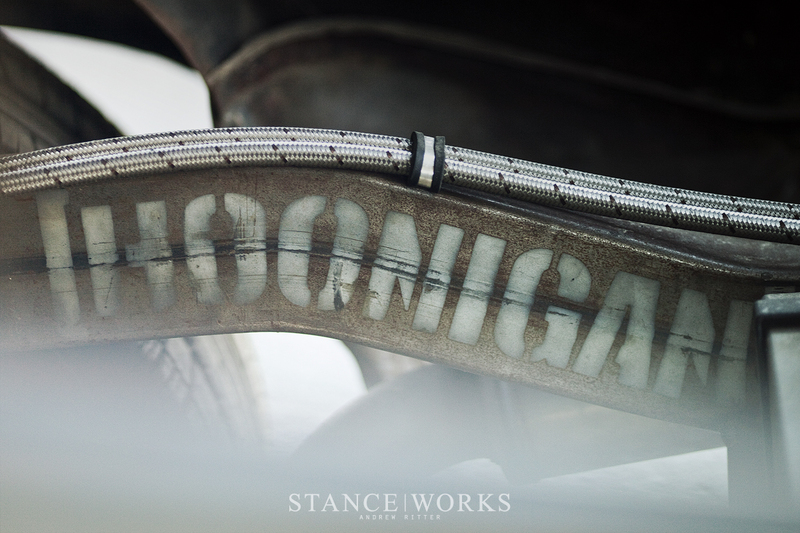 The original cracked dash remains, housing a custom set of Autometer/Hoonigan gauges, built along side the set featured in Ken Block's 'Hoonicorn' Mustang from Gymkhana Seven. As for a radio? Well, there's simply no need. Those fervent for details may even notice the cage itself has yet to receive paint, along with the chassis. Though the details may seem incomplete, it's with good reason. While the Napalm Nova project began as an idea more than a year ago, the project as a whole came together in a mere 70 days and nights. Such a short timeline only serves to build upon the car's already impressive list of accolades. The reason? 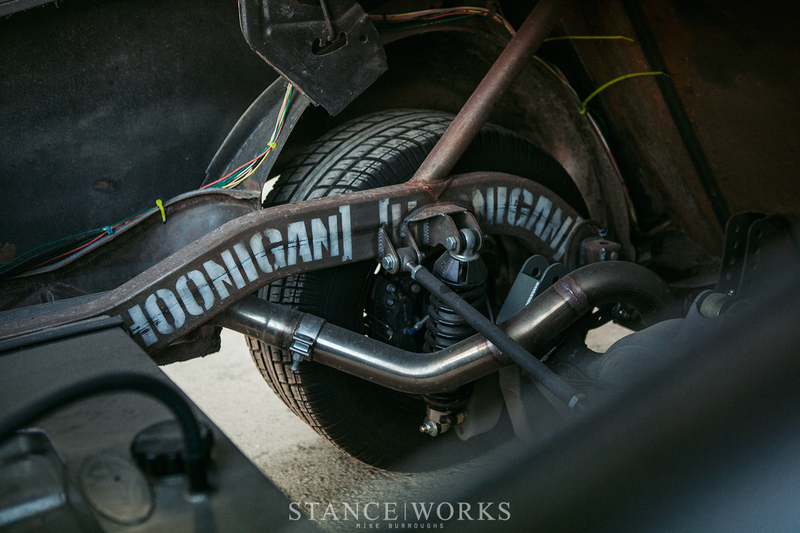 The Hot Rod Power Tour, Brian's chosen deadline for the build once the Art Morrison chassis was delivered to the Hoonigan compound. Along with his girlfriend, Ashley Baker, as well as with the helping hands from fellow friends, Brian rushed to complete the car in an effort to participate in one of hotrodding's biggest events of the year. Their efforts weren't without struggles, and it's subtle details such as the tow strap suspended under the bare fuel cell mounts, which holds the trunk panel down, that give away the no-excuses mentality of the finished product. 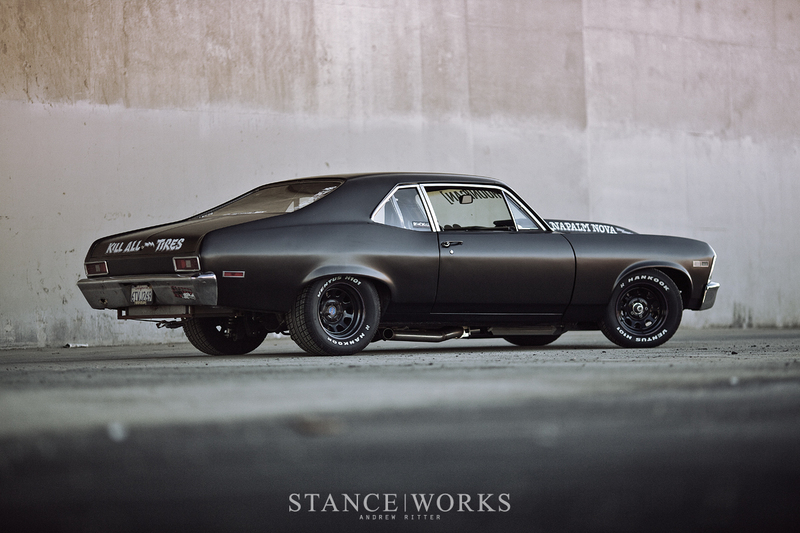 The Napalm nova was built to be driven, and drive it does. Despite the fact that the Napalm Nova is roadworthy once again, there is little semblance of "completion" in Brian's tone of voice. A bigger motor and more power are on the horizon, as are the touches to round out the car in its more subtle aspects. However, Brian won't stop there, and he never has. He's already on to his next project: a 1929 Chevy two-door sedan that's likely to be every bit as exciting as the projects in his past. 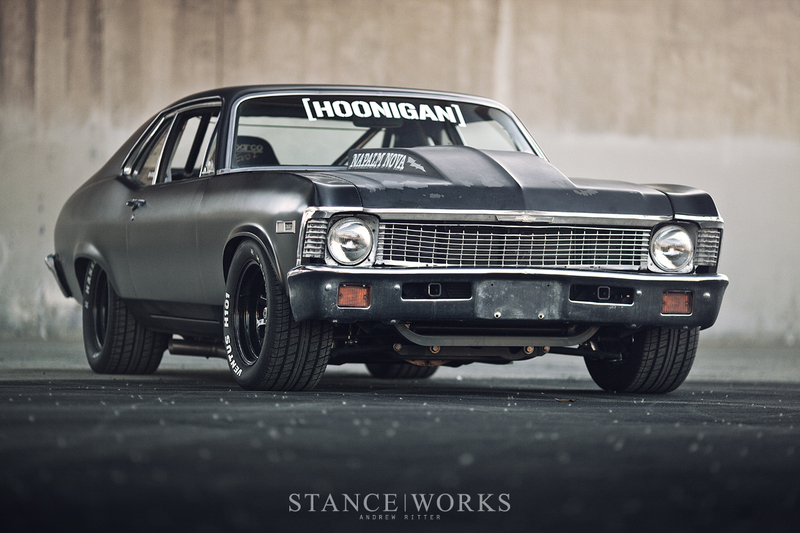 His divided attention brings us little worry though, as we're told the Nova will resurface at SEMA this year - so keep your eyes peeled for project Napalm Nova. Not going to lie, I like the car but the 454 is a bit disappointing. I was hoping for a 8-71 blower and a pair of Holley carbs. Because there’s no kill like overkill. totally cool, but definitely missing the blower. It appeals so much more. A blower wouldnt hurt. This is a great example of the perfect “drive it hard” kind of hotrod. Not too nice to beat on. Love it! One of my favorite features (as if I could possibly narrow it to a few…) Please bring more hell-raising hotrods like this when possible! 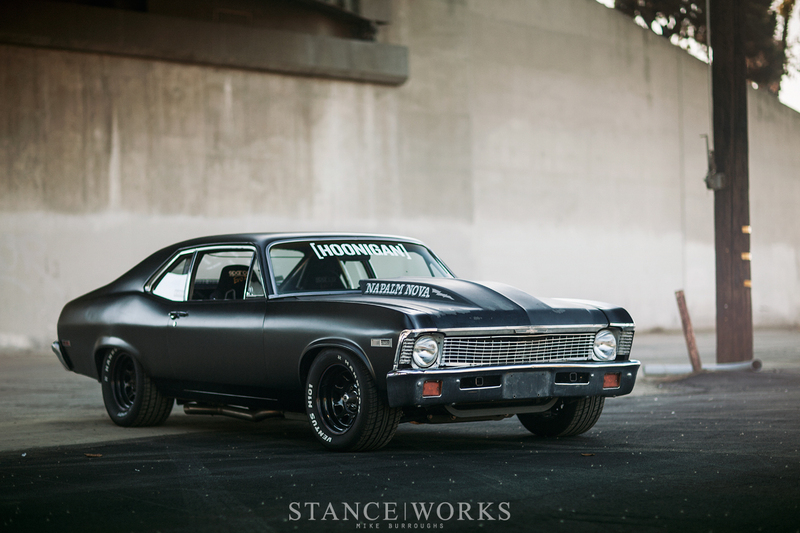 Nothing sweeter than a murdered out Nova.